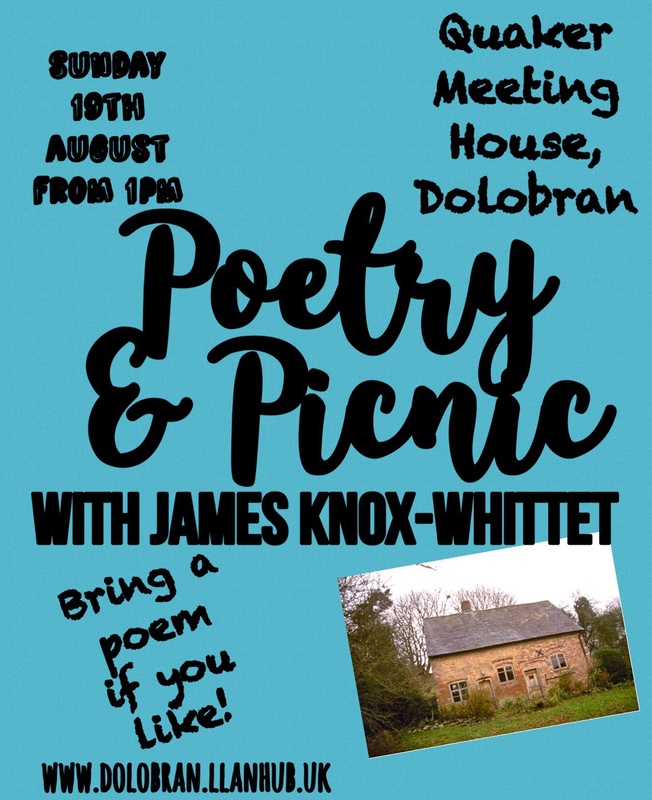 James Knox-Whittet, award winning poet, will be returning to Dolobran Quaker Meeting House this year to read and discuss some of his poems. This will be on the 19th August at 1pm. 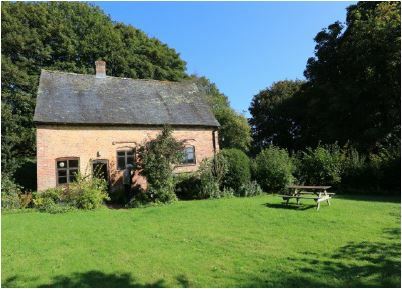 The Meeting House is a short walk from the car park in a small paddock at Forge Farm, near Pont Robert. A sketch map is below. Friends at Dolobran meeting will be hosting a late-summer gathering at Dolobran on the 2nd September. Meet for a picnic lunch at 12.30 with Meeting for Worship at 2.30. And tea and cake aat 3.30. On Saturday 8th July, from 2.30 onwards, there will be an afternoon of music and an evening of poetry. Come to Dolobran Meeting House and bring a picnic! Come for it all or for as long as you like. 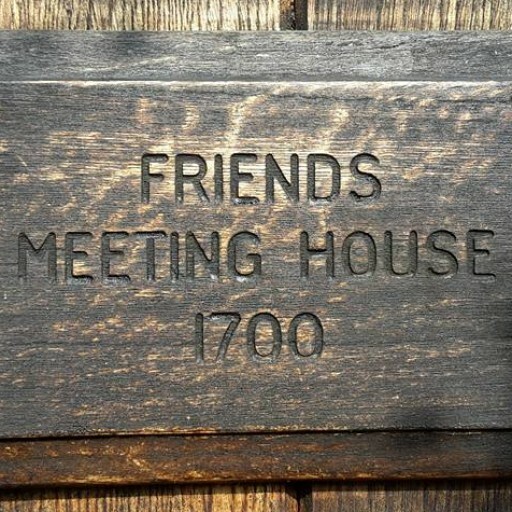 Entry free but donation to the upkeep of the Meeting House very welcome. Parking – please park in the car park / paddock near Forge Farm and walk the 2000 metres along the track to the Meeting House. There may be some ‘overspill’ parking in ‘Forge Farm’ itself but this will be indicated on the day. 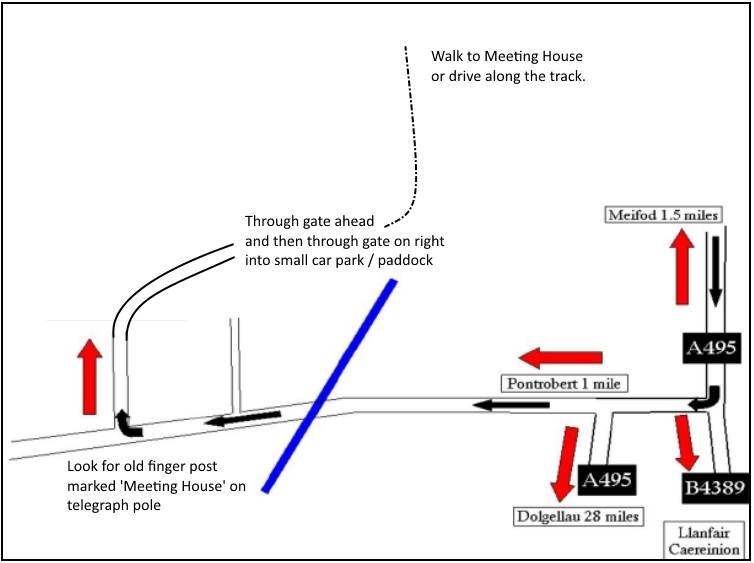 For those unable to walk, it is possible to drive along the track to the gate of the Meeting House and then return to the car park. How to find us, there will be ‘P&M’ signs along the last part of the way to guide. An opportunity to hear award-winning Scottish Islay poet James Knox Whittet and the poetry of the late Harry Corder Greaves, as well as supporting local poets in Crossing Borders. (Download pdf poster). Saturday 23rd July, 6.30 – 9pm at Dolobran Quaker Meeting House. Directions. Head south along the A495 through Meifod, out the other side for 2 miles. The A495 bends right and then left – take the turnoff sign-posted to Pont Robert. Over the hump-backed bridge and take the second right (there is a wooden finger post on a telegraph pole opposite the turn). Follow this track up the hill to Forge Farm and park there. Follow the track on foot (stout shoes, boots or wellies are advised) for 1/2 mile to the Meeting House. The Google Map below will also help. Free admission and refreshments. Donations welcomed in aid of funds to provide a shower and new toilet for visitors to the Meeting House and cottage. Sunday March 20 ~ , there will be no Meeting in Montgomery and some of us will be joining Dolobran. 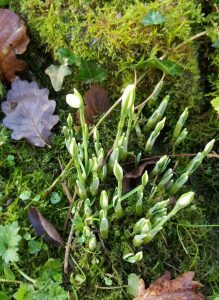 Also on 20th, Area Meeting will be held at Llanidloes in the afternoon, it will be a good opportunity also to attend Llanidloes Meeting on Sunday morning. Saturday 21st May ~ The next Area Meeting will be held in Meifod, hosted by Dolobran, and Dolobran will be presenting their Spiritual life Report at that A.M.